We're Renovating And We Need Your Help! Are you handy? Have a green thumb? Have a truck for pick-ups? We are blessed to have found a beautiful 9,400 sq. ft., 2-story church on a 32,000 sq. ft. lot in the Mt. Carmel area of Redwood City, CA. 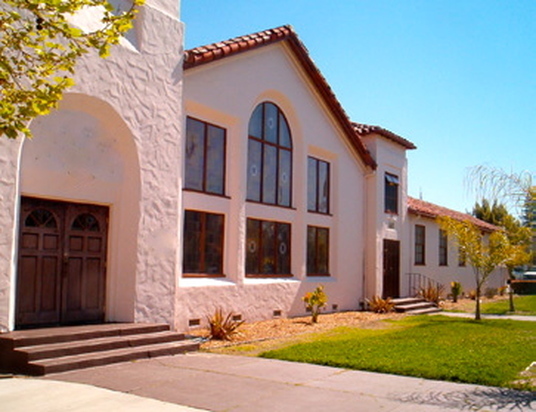 The neighborhood is home to Sequoia High School, Stafford Park, diverse population, and a number of religious churches. A short walking distance to downtown Redwood City, Archangel Michael and St. Mercurius is near the Redwood City Cal Train station stop, and wonderful restaurants. Surrounded by an open courtyard, the church boasts a commercial kitchen with two waiter stations, 38 on-site parking spaces, 10 classrooms, a 120 seat gathering hall with stage, several offices and a conference room. However, the church needs some work. We are embarking on large improvement and renovation projects at the site. The following is a list of projects we can use your help in. If you are a high school student, we'd be happy to work with you and sign-off on community service hours forms for your school's records! Purchasing of Materials - marble, tiles, cabinets, sinks, toilets, faucets, sheet rock, roofing, and more. If you can donate your time, your professional service, can refer a friend for In-Kind services ,we'd appreciate all the help we can get!